First off, let’s get one thing clear: There is no such thing as “Leftover Easter Eggs”. There are simply Easter eggs you haven’t eaten yet. All recipes that imply otherwise, as if you would accidentally forget about all of that chocolatey goodness waiting for you, annoy me. 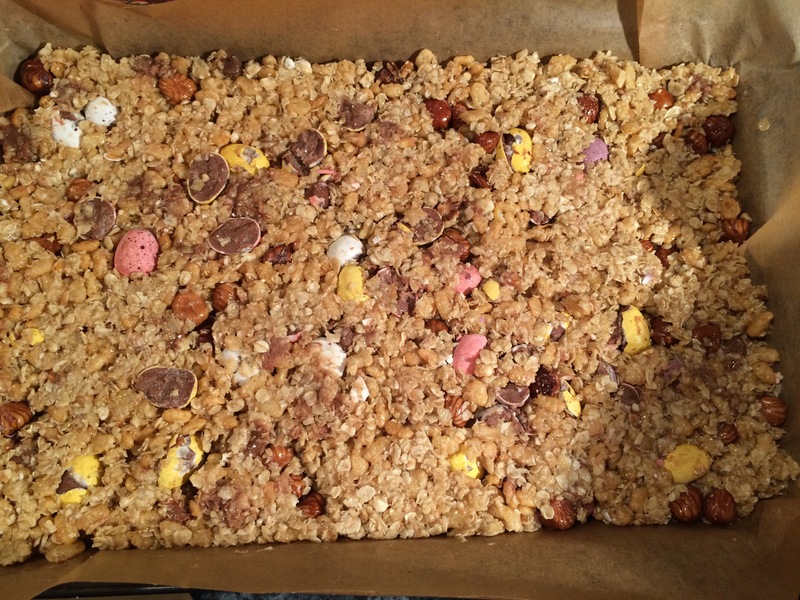 However, in the spirit of being adventurous in your chocolate consumption I came up with these Mini Egg Flapjacks to take on my Easter Weekend Hike up Kinder Scout. A good flapjack is hard to beat for giving you an energy boost and the Easter holiday was to good an opportunity to pass up! 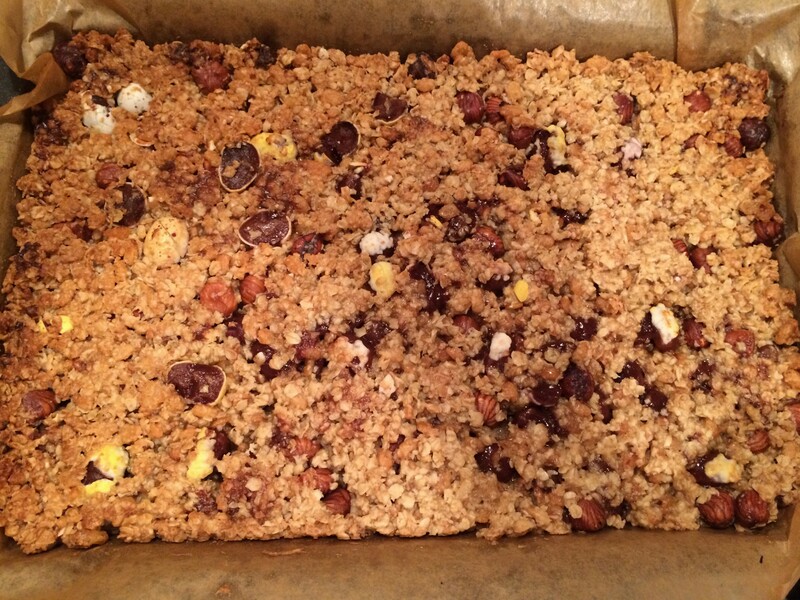 Makes 16 bars 100g butter 75g golden caster sugar 3 tbsp maple syrup 200g oats 50g rice crispies 50g plain flour 100g whole hazelnuts 50g chocolate Chips 90g Mini Eggs (1 bag), lightly bashed – Heat the oven to gas mark 4 * and line a brownie tin with baking paper. – Melt the butter, sugar and syrup together in a small pan until just melted and bubbling. Don’t over boil unless you want hard, crunchy flapjack! – In a large mixing bowl combine the oats, rice crispies, flour and hazelnuts. – Stir the melted butter into tthe dry ingredients until no flour is left visible. – Add the chocolate chips and stir through the mixture. 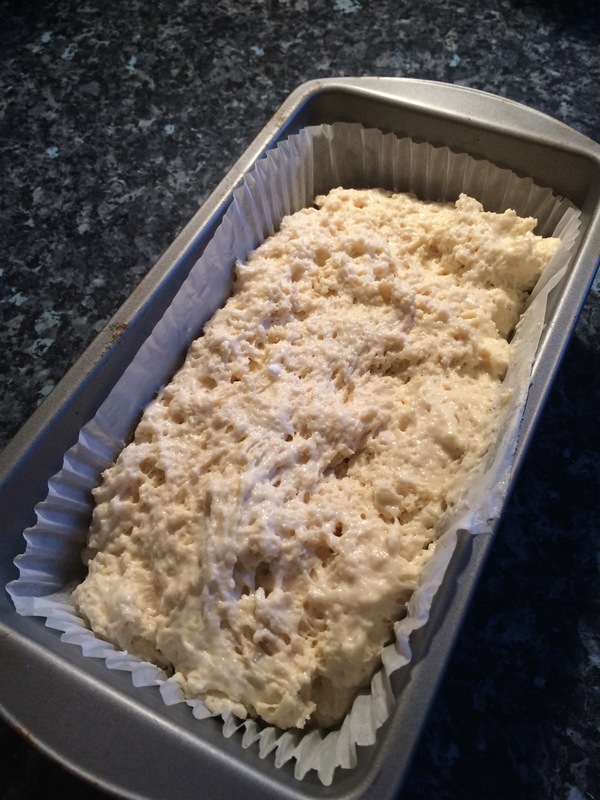 – Tip into the prepared baking tray and spread the mixture out evenly. – Scatter over the mini eggs and press the mixture down firmly to give an even surface. – Place in the oven and bake for 25 minutes until just golden brown. – Remove from the oven and allow to cool in the tin for 10 minutes before lifting out the paper and slicing into bars. – Return to the tin to cool completely. 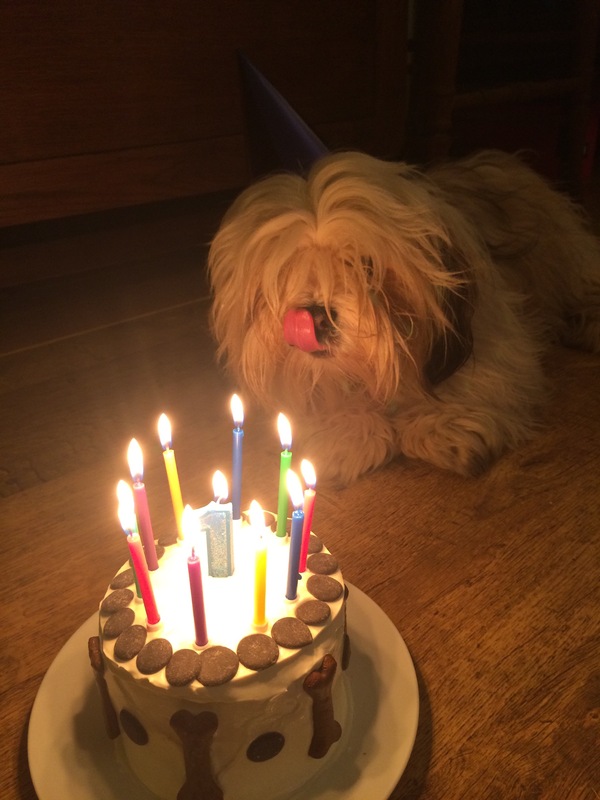 This awesome Birthday Cake was so good even the humans were eating it! And Darcy’s doggy friends all wolfed it down, no time for table manners here! 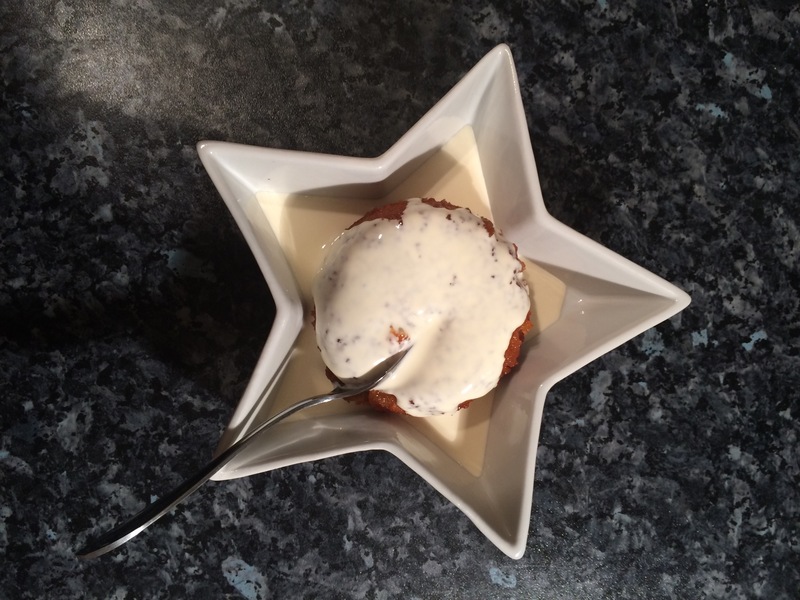 It’s a sweet potato sponge with oats and a little bit of maple syrup to sweeten it for Darcy’s insane sweet tooth. My dog must be the only dog in the world who hates peanut butter so all of the popular recipes for doggy birthday cake were right out! 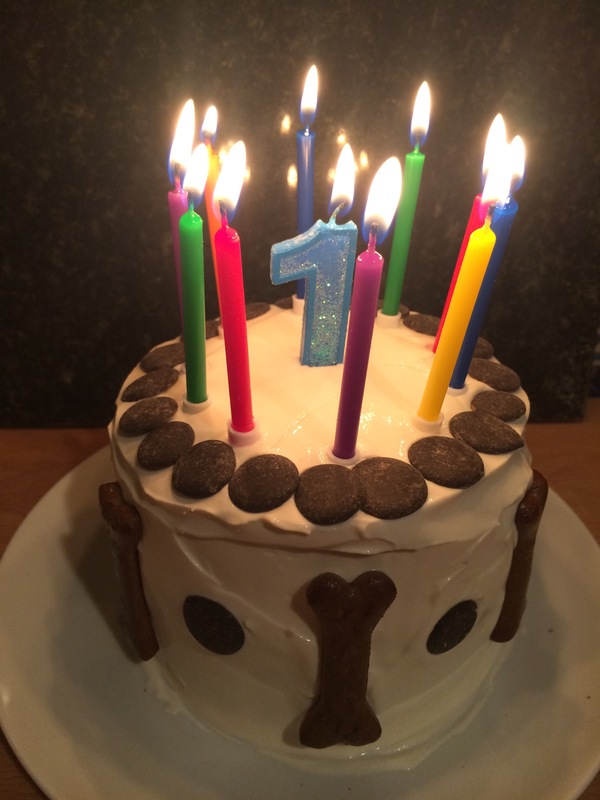 This recipe made enough for a small 4″ 2 layer Birthday Cake and 24 mini Pupcakes too. The icing is simply cream cheese and greek yogurt, no sugar here so make sure you refrigerate it! – Heat the oven to gas mark 4 / 180C. 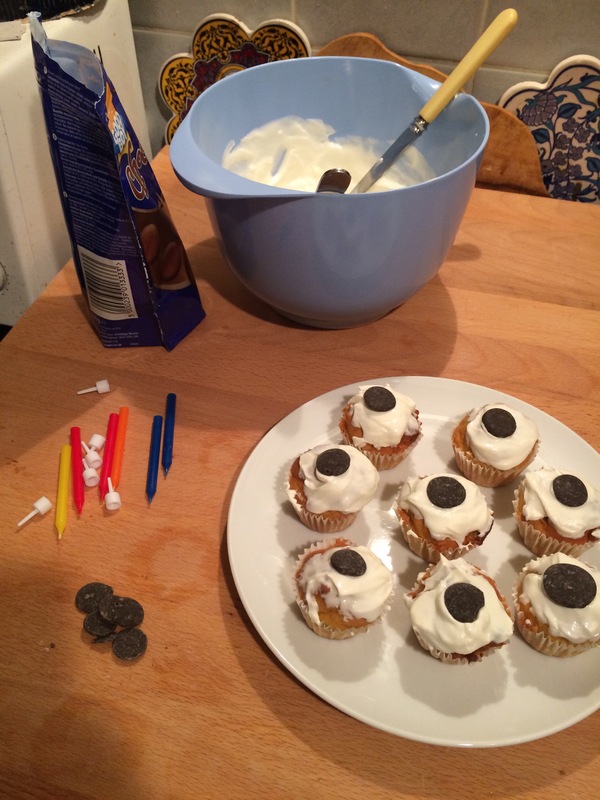 Grease and line your cake tins and place paper liners in tins for cupcakes. – Mix the flour, oats and sweet potato in a large mixing bowl. – Melt the butter in a jug and leave to cool a little. – Add the eggs and maple syrup to the melted butter and beat together. – Mix in the egg mixture to the flour mixture. – Add the milk a little at a time to loosen the batter, you want a soft spongy dropping consistency. – Divide the mixture between your chosen baking tins. – Mini Pupcakes bake in 15 minutes, the 4″ mini layer cakes in about 30 minutes. Test to see if a skewer comes out clean to check the bake. – Allow to cool completely before icing. 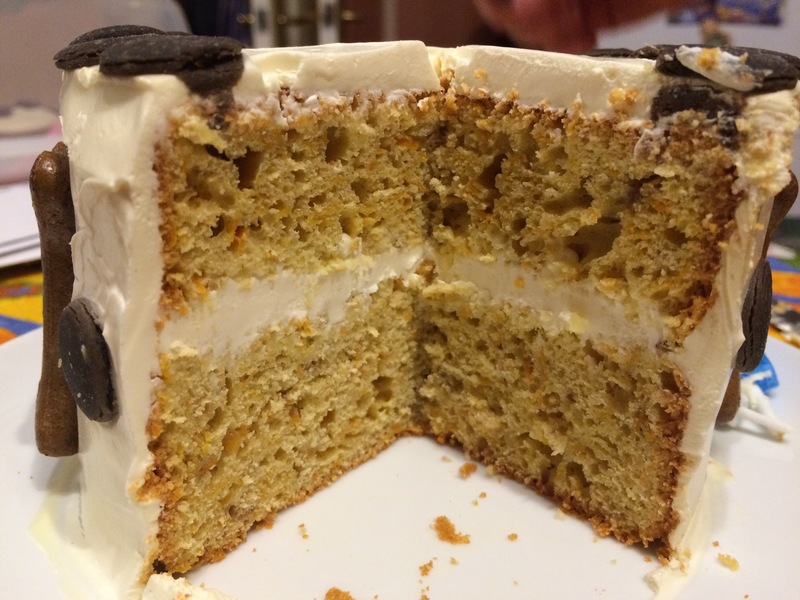 – Trim the domes off the layer cakes to give you two flat, even layers. – Mix the cream cheese and greek yogurt together in a mixing bowl. – Spread evenly over your cake and pup cakes. You can be generous here, don’t worry! 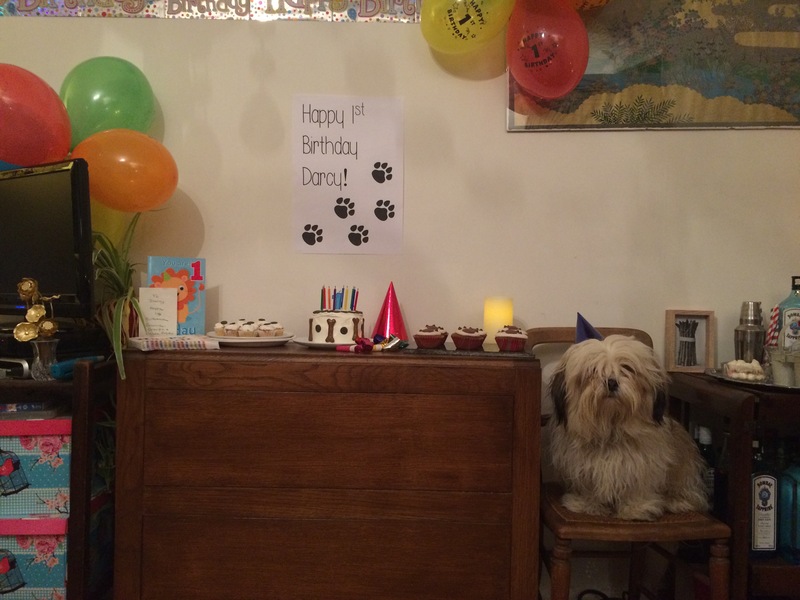 – Add whatever treats your dog likes to decorate it! Brownies are one of my quickest and easiest go to recipes. Not only are they simple to whip up by they satisfy any number of my chocolate and sugar cravings! There are endless variations to play with, my most recent have been these sinfully good Caramel Brownies! These are sticky and delicious. 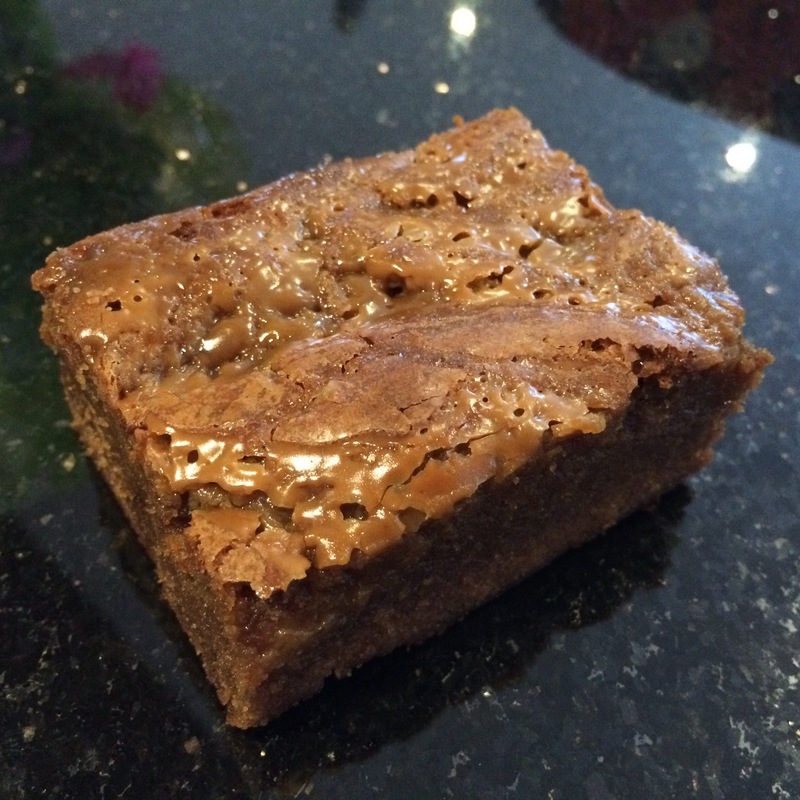 The caramel melds nicely with the gooey brownie to give an almost Sticky Toffee like effect. 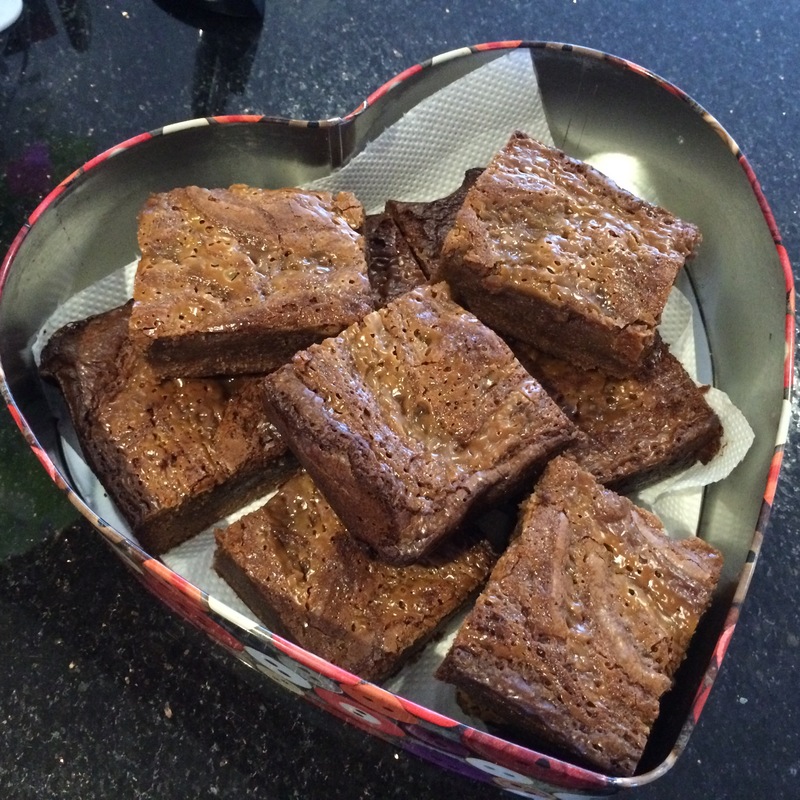 – Heat the oven to gas mark 5/190C and line a 7″x11″ brownie tin with baking paper. – In a large jug mix the 3 eggs and the sugar until well combined. – Add the flour (or almonds) and cocoa powder and fold into the chocolate mixture. 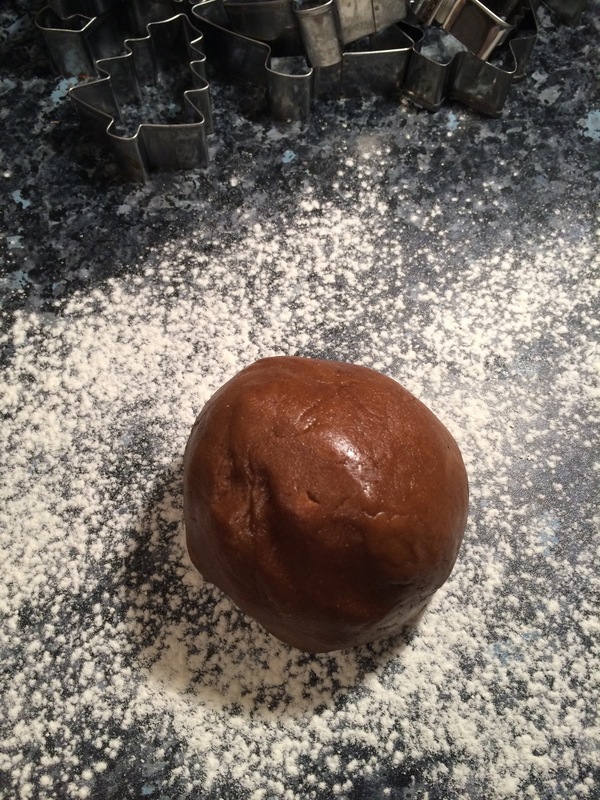 – Pour the brownie mixture into the prepared tin. – In a small saucepan melt the caramels and the cream together over a low heat to get a smooth caramel sauce. 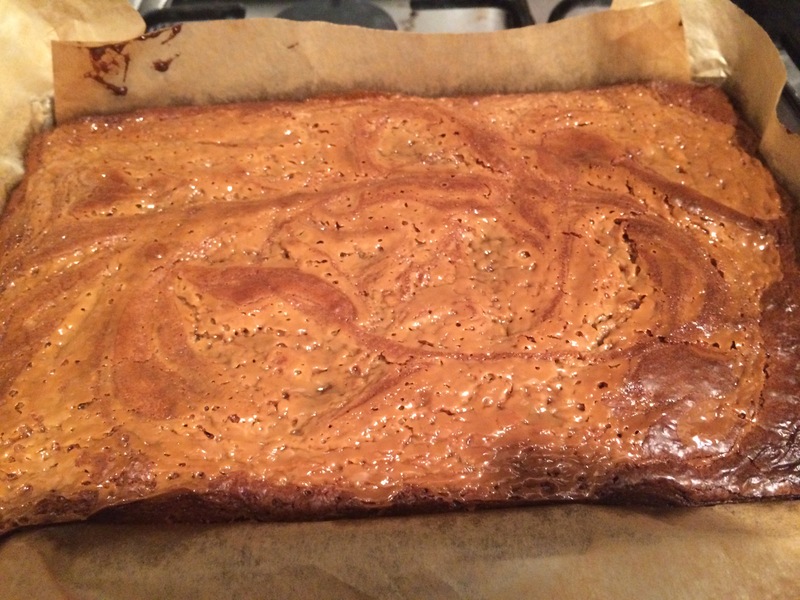 – Pour the caramel mixture over the brownie mixture and swirl about to get ripples of caramel throughout your brownies. – Bake for 30-45 minutes. – Leave to cool in the tray then lift out the paper and slice into squares. Bloody brilliant warmed up with vanilla ice cream! 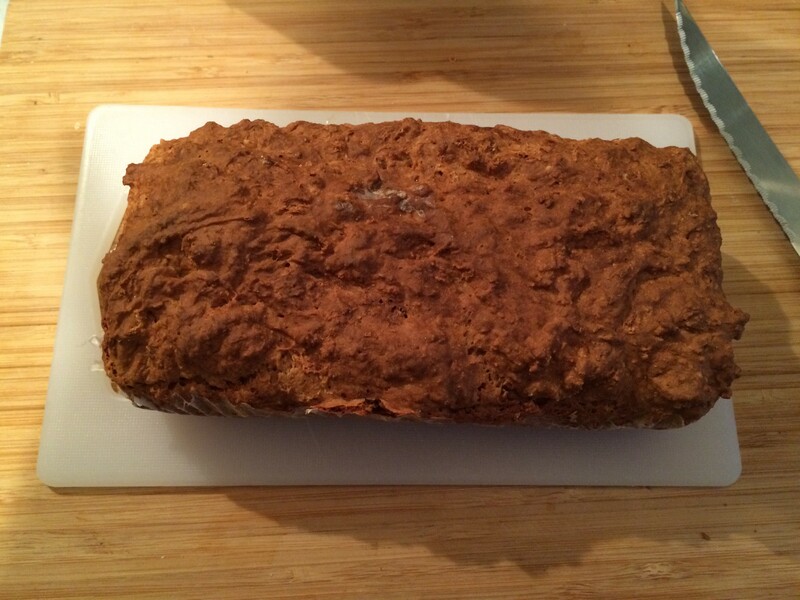 Sodabread! Ok, confession time: In a moment of new year madness I decided not to keep bread in the house as it was too tempting and I am trying to cut back on refined carbs… well, that didn’t last! I desperately needed a vehicle for the poached egg I was craving so as a compromise, instead of going out and buying a whole loaf of worthless white bread I whipped up this little loaf of sodabread. It made me feel slightly more virtuous! Its an excellent recipe to turn to in times of need and goes brilliantly with eggs, soup, pate and more! – Heat the oven to 180C/Gas4. – Grease a small loaftin. – Add the lemon juice to your milk and set aside. – In a medium sized mixing bowl combine the flour and bicarbonate of soda. – Add almost all of the milk to the flour, keeping a little in reserve. – Give it a good mix around to make sure everything is combined. – If the mixture is too dry add the remaining milk. – Tip/scoop it into your greased loaf tin. – Bake for 40 minutes. – Remove from the oven and tip out of the tin, it should be floaty light and sound hollow when tapped on the base. – Let it rest for 10 minutes or so before serving warm. – Wrap any leftovers in clingfilm and try to eat it within 2 days. Do as I say, not as I do! For reasons of rust I had to line this tin. MISTAKE! The lining stuck and stuck hard! I hope everyone had a good Christmas! 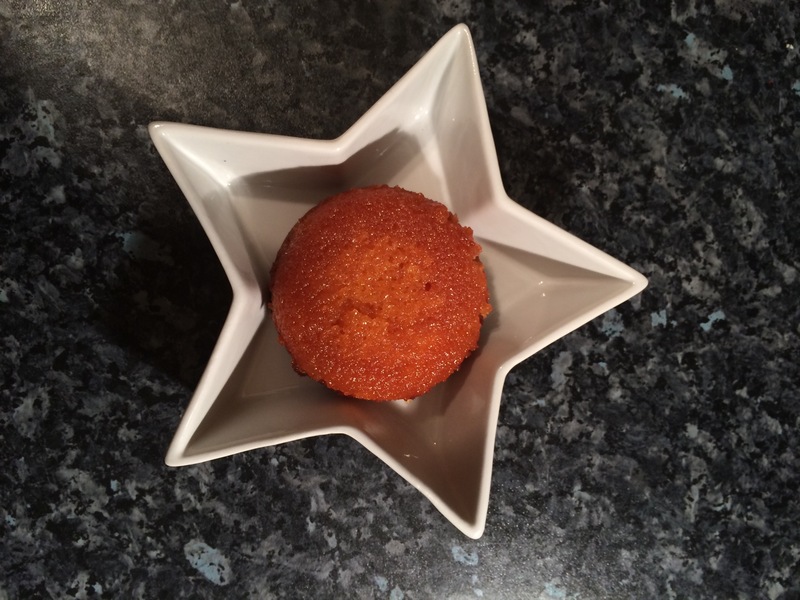 In the spirit of Boxing Day, here is a recipe for Mini Sticky Sponge Puddings to complete your food coma. 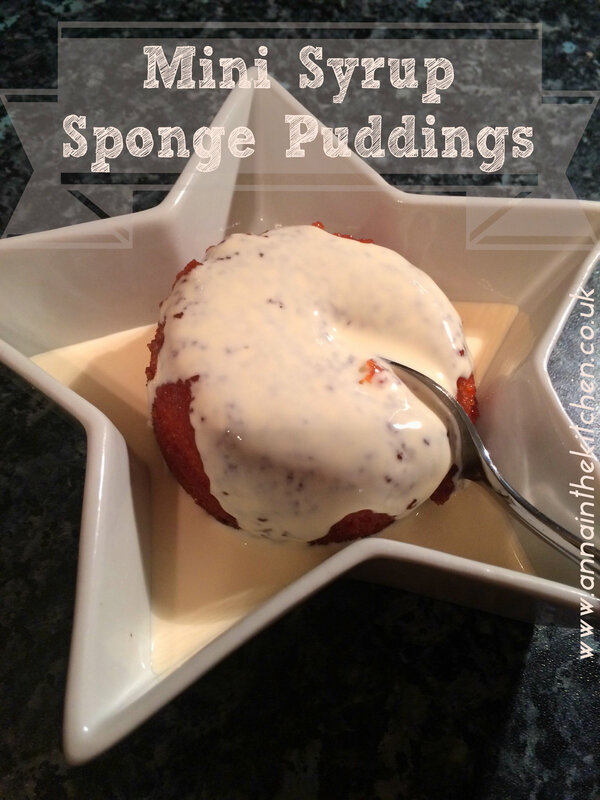 It’s a little different than Christmas Pudding and still heartily good comfort food! In my opinion there is nothing quite like a syrup sponge pudding. Previously I’ve always made big ones, because bigger is better, yes? However, I have to revise my opinion here. With these mini puddings you get the perfect amount of sticky syrup sauce to sponge ratio and the sponge is deliciously soft and sweet. It doesn’t look like much mixture when you divide it up, but trust me, this will make the perfect little pud and a wonderful finish to any winter meal! – Heat the oven to gas mark 4/180C. 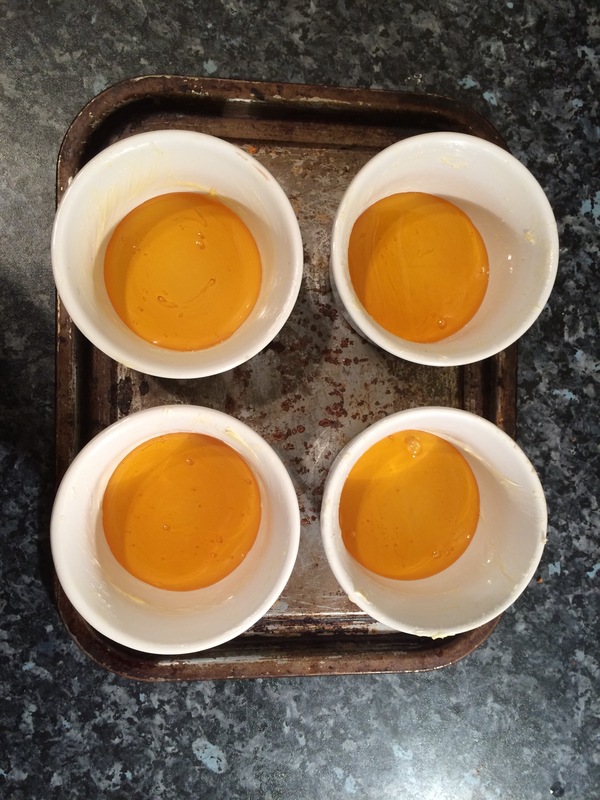 – Thoroughly butter 4 ramekin dishes. – In a large jug melt the butter, then add the sugar and mix well. – Beat in the egg (make sure the butter isn’t still hot!) and the golden syrup. – Fold in the flour. 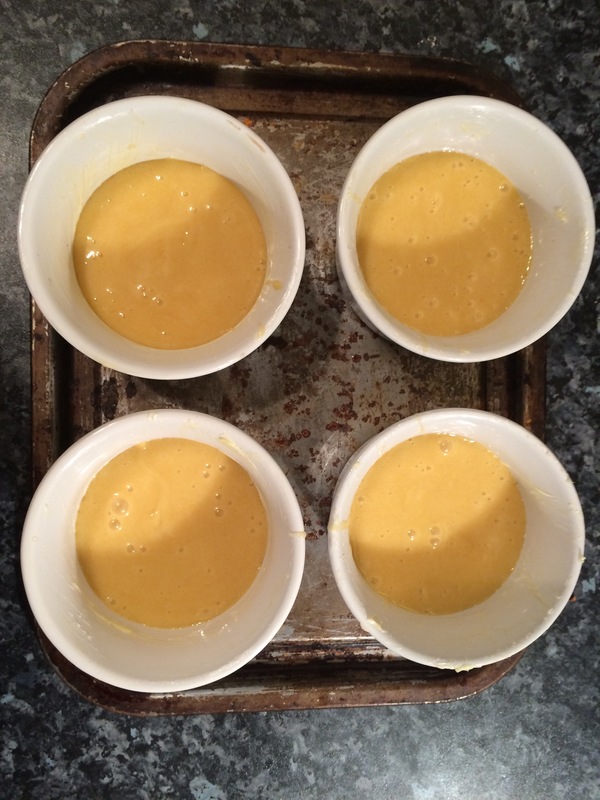 – Put 1-2 tbsp of golden syrup in the base of each pudding. If you want more syrup sauce put in more, if you just want a sticky sponge add less. Here I went for less but sometimes I want more goo! – Bake for 25 minutes until set in the centre and deep golden brown. – Serve with cream or ice cream as you like! * BOILING SUGAR. Do not stick your finger in it, even accidentally. Remember, I make these mistakes so you don’t have to, kids! Last Minute Sweet Gifts Roundup! If you have left it too late, or have an unexpected guest arriving tomorrow here are some ideas for quick, easy sweet gifts that you can throw together. Or may be you have superpowers and somehow have some free time to whip together some sweets for the hoards about to descend. Either way, here are my favourite sweet recipes! Christmas wouldn’t be Christmas without gingerbread! Now, prior to this year I have always made and endured gingerbread biscuits but only because it’s Christmas and that’s just what you do! Not this year, oh no! 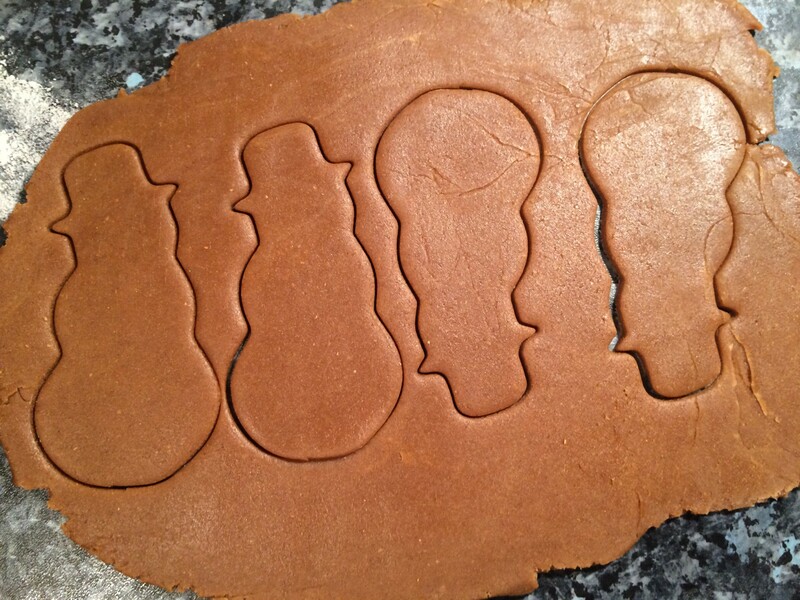 I have finally found a gingerbread recipe that I actually enjoy! These biscuits are crisp enough to keep their structure when hung on a tree, or built into 3D constructions but chewy enough that you don’t feel in danger of cracking a tooth on them unlike some of the recipes I’ve tried over the years. They are incredibly moreish and have just the right level of spice and interest for me without being so strong that you can’t accidentally eat half a dozen in 5 minutes flat! Makes ~30 of different sizes, depends on your cutter! – Melt the butter, sugar, syrup and salt in a saucepan and mix until all combined. – Set aside to cool while you weigh the other ingredients. – Put the flour, bicarb and spices in a large mixing bowl. – Add the warm melted butter/sugar/syrup and give a little mix. – Add the egg, continue to mix until it forms a soft batter. Don’t worry, it will be much squishier than you think it should be. – Put it in the fridge to chill for at least 30 minutes. – Heat the oven to gas mark 6 and prepare 2 baking trays with lining paper. – On a lightly floured worksurface roll out the dough to about 5mm for larger cookies or the thickness of a £1 coin for smaller . I have a small worksurface so I work with half the dough at a time and keep the rest in the fridge. – Cut out your biscuits and carefully lift onto the trays, leaving plenty of space for them to spread a little. They don’t loose their shape but they will puff out a bit. – Bake your cookies for 5-10 minutes. The larger the biscuits are the longer they will take, the smaller they are the quicker they’ll bake. Small ones will probably take about 7 minutes, larger ones 10-12 minutes but keep checking. You want the biscuit to be deep brown, but not yet catching and darkening on the edges. Black is too far! – If you want to put holes in for hanging on trees or making into 3D structures, cut these immediately upon leaving the oven while the dough is still hot. – Leave on the tray to firm up for 5 minutes then transfer to a wire rack to cool, continue to repeat with the rest of the dough until it’s all gone.